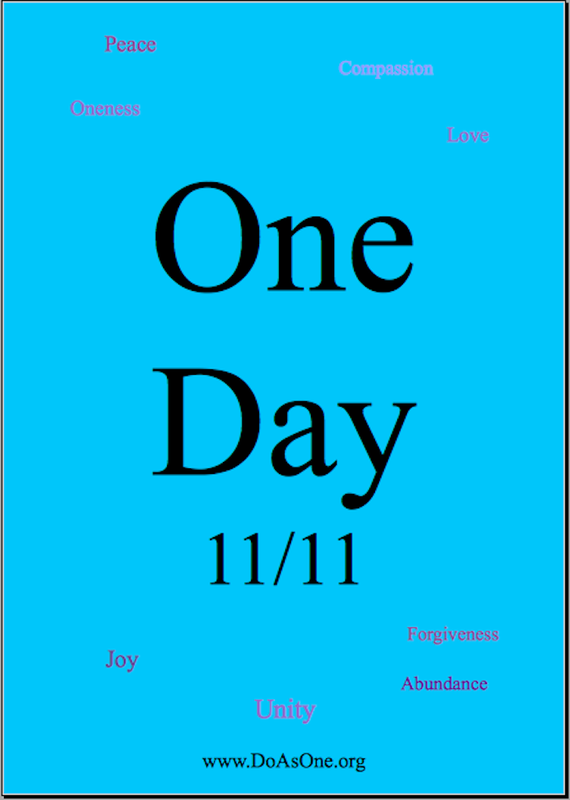 Do As One will be holding an event on 11/11 in Los Angeles. There'll be speakers & music, followed by a breath activation.We'll livestream this event on the internet. During the event, we invite people all around the world to spend one hour connecting with the One, in whatever way they choose: dance, pray, chant, meditate, sing, yoga, tai chi, or if they like, watch the livestream of our event at home, or projected onto a big screen at a larger gathering. After the One hour, we ask that everyone join us in conscious synchronous breath flow. 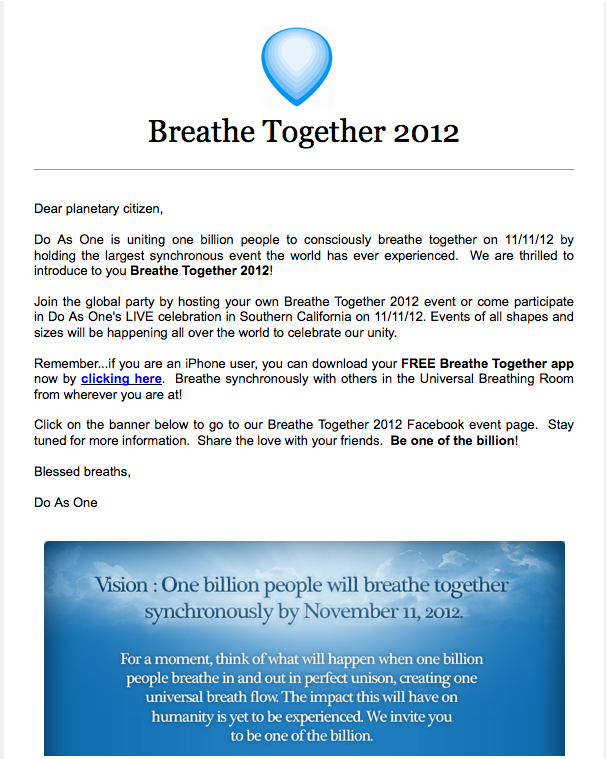 The vision is to unite humanity through our greatest unifier: the breath. How do we breathe? Through the re-SPIR-atory system, in other words, our spirit re-charge system. We believe that the breath is our connection to spirit and that by breathing together we may literally join in spirit. Well, what would happen if, in the spirit of peace and love and joy and unity, one billion people came together, connected to the One, and started breathing in synch? 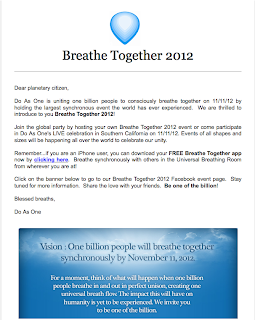 The Universal Breathing Room on DoAsOne.org will be used to synchronize our breath flow. The UBR is already up and running, so stop by and take a few breaths with us now, or get in touch with us if you'd like to get involved in organizing an event on One Day. Do As One began as a vision. Late one night, whilst meditating, Rabia Hayek had a vision of One billion people breathing together synchronously. The result was the creation of Do As One, and the goal to unite humanity through conscious breathing.